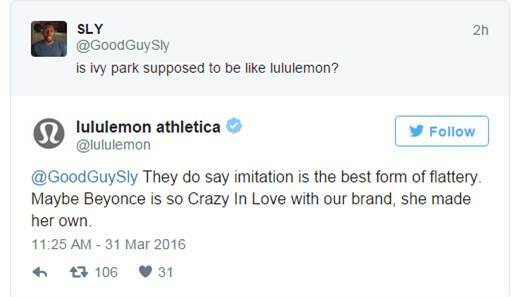 Athletic brand Lululemon tweeted a comment about Beyonce and the BeyHive was not having it. 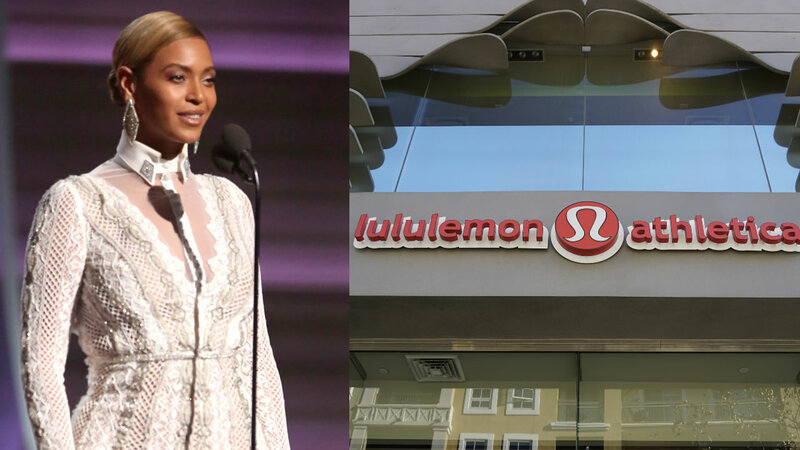 A Twitter user asked if the singer's new activewear line Ivy Park was supposed to be like Lululemon, and Lululemon responded by tweeting, "They do say imitation is the best form of flattery. Maybe Beyonce is so Crazy in Love with our brand, she made her own." The tweet has since been deleted, but it sparked some snarky comments by Beyonce fans. #ivypark is nothing like @lululemon. #ivypark is fashionable activewear that is smokin' hot! Community/Social Media manager for @lululemon fired yet? The brand responded to fans, apologizing for the tweet. @__beebs Good eye. We heard everyone's feedback and decided to retract the original post. @mississippiDAWN We're fully owning this and never meant the post to be taken in a hurtful way.